Looks great ! Congrats . . .
Looks awesome! What style wheel did you have before? Mine go on this weekend. 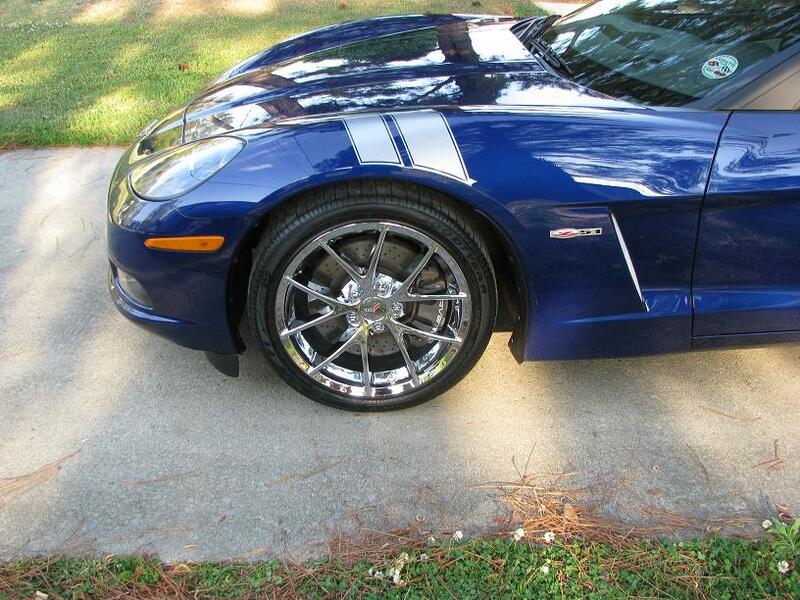 The new Z06 spiders have to be one of the best looking Corvette wheels in recent history. 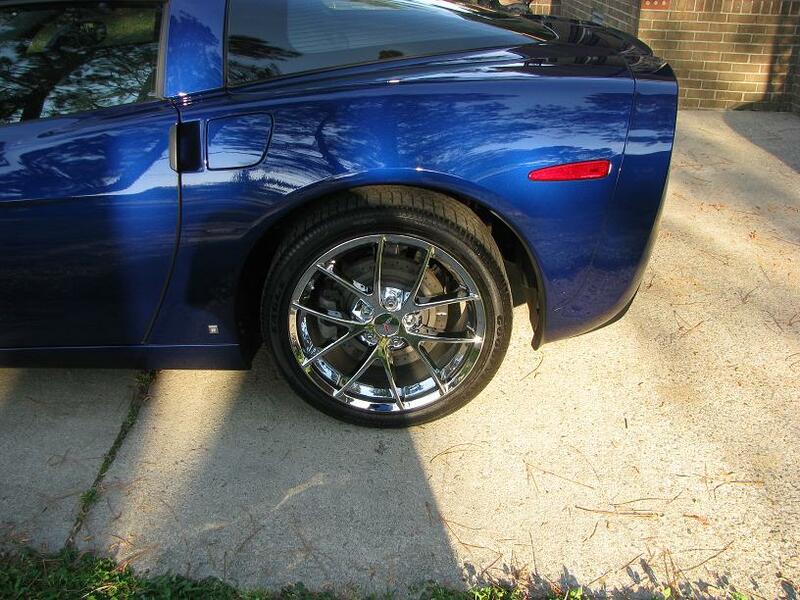 Those are gorgeous wheels, and look the best in chrome! gawd awful ugly competition grey wheels. When they could have a set of those handsome chrome spyder wheels. BTW-Why pay extra for wheels that look dirty all the time. I think you should powdercoat your brake calipers next. They look great! I like the hash marks too. 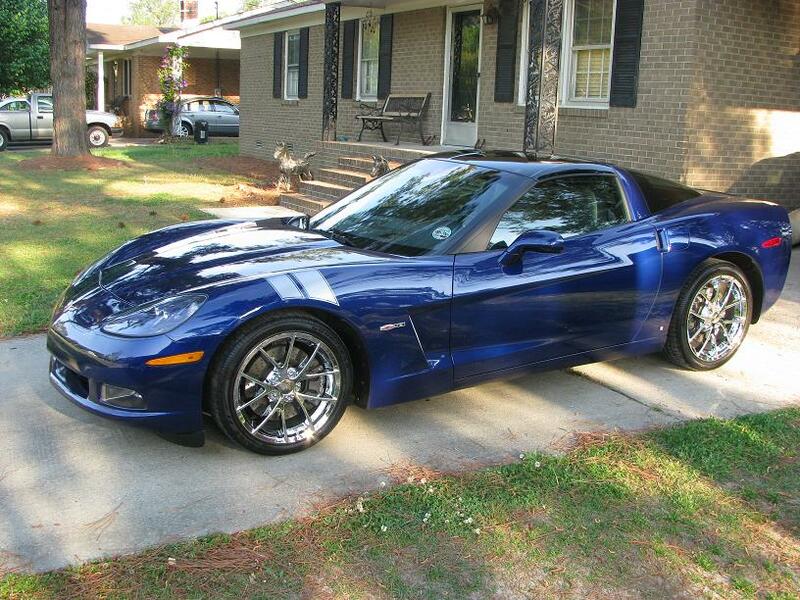 Looks real good, I almost put those on my LeMans Blue...good choice. 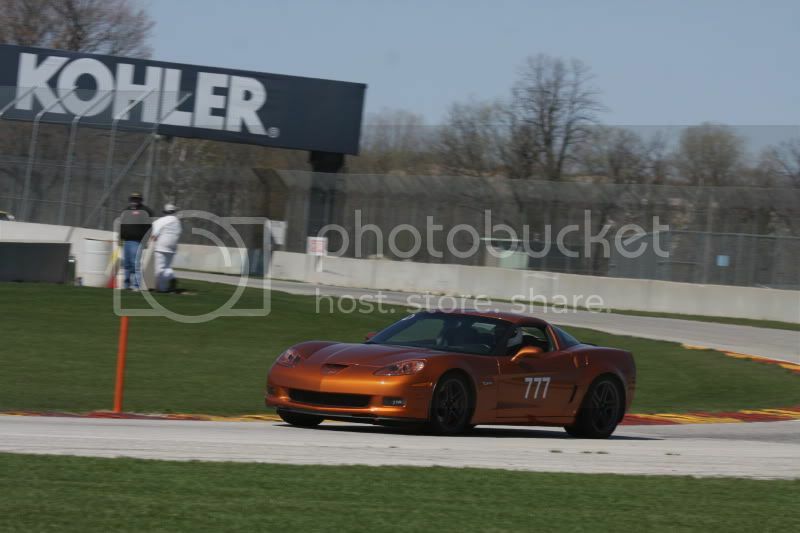 4th Annual Corvette Party at MacMulkin Chevrolet COMING SOON!